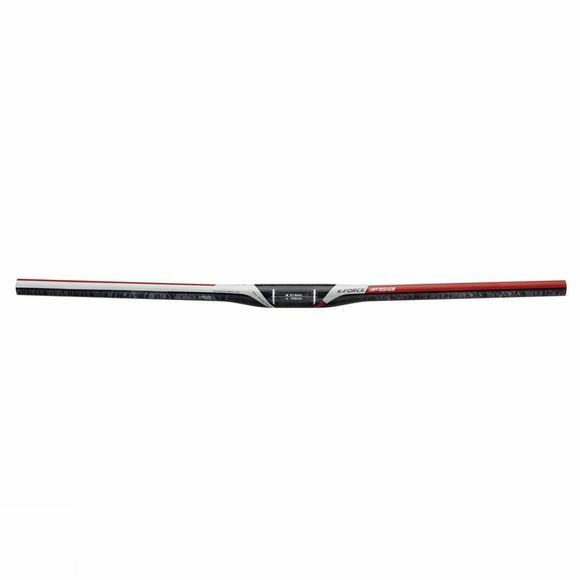 An ultralight choice for XC and marathon racers, the K-Force Flat uses carbon/Kevlar composite construction to achieve a weight of just 120g for the 600mm version. The unique design features an offset central bulge so that the bar is flat all the way across the top. Internal reinforcement and surface texture ensure firm clamping at the stem. It’s also reinforced where the controls attach and at the ends for bar end use.